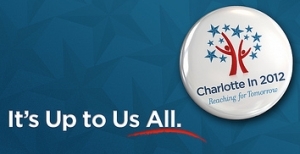 Charlotte’s first openly gay candidate? Owen Sutkowski will officially kick off his campaign for Charlotte City Council on May 28. 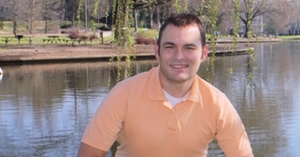 He might just be Charlotte’s first openly gay man on a ballot for city election. But a couple Q-Notes readers say a man named Robert Sheets ran as an openly gay man on the ballot in 1989. In the 1990s, an open lesbian ran as a write-in candidate. FOX Charlotte reports that the Mecklenburg County Board of Elections doesn’t keep records as far back as 1989, so they weren’t able to confirm. My job today: a search through the newspaper’s archives. It is a painstaking task; something I’m not looking forward to. But duty calls. What is truly amazing, though, is that Sutkowski is also the youngest candidate for city election ever. At only 26, he’s embarking on a run to defeat a Democratic incumbent and win a seat on council for the largest city in the Carolinas. For the past few issues, my day job publication has been publishing a series of writings from a gay prisoner. The “Lockdown” column by Joseph Urbaniak details his experiences and life as a gay man in prison. 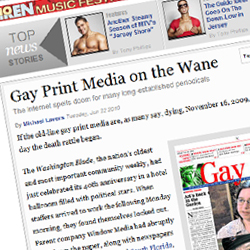 Back in 2007, Urbaniak filed a lawsuit against the N.C. Department of Corrections, seeking the right of LGBT prisoners to receive non-sexual, LGBT-themed publications such as The Advocate and OUT and newspapers like the old Front Page and Q-Notes; much in the same way that straight prisoners can receive mainstream, non-sexual news and entertainment magazines and newspapers. But, as with all things, this hasn’t come without its own share of controversy. In the Jan. 10 issue, we’ve published a guest commentary from a Charlotte community member who feels we should stop publishing the column. An opposing opinion column by me was also published, and we’ve got this issue’s QPoll dedicated to the question of whether we should keep the prisoner’s column or junk it. I invite my readers at InterstateQ.com to head over to Q-Notes‘ website and read both the columns.